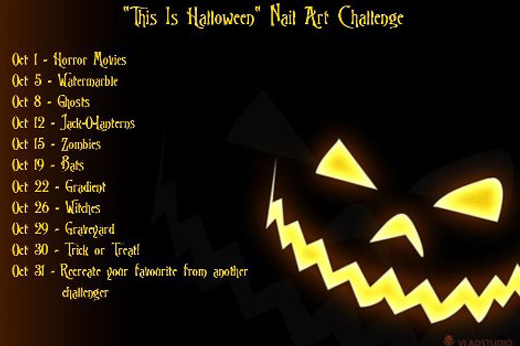 Jack-o-Lanterns "This is Halloween Nail Art Challenge"
I did promise so freehand nail art this time around, and it doesn't get much simpler than this. First I have to say, I love love love the Kleancolor metallic polishes. This is one coat of Kleancolor Metallic Orange and I think it's such a perfect Halloween shade and it simply glows. 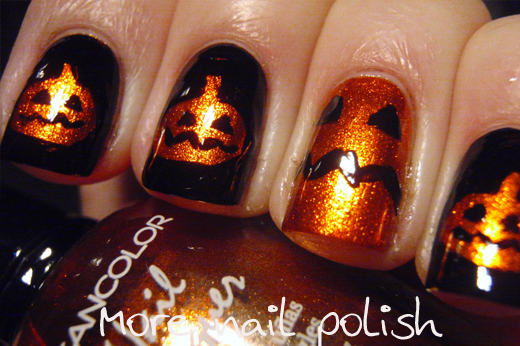 On top of my kleancolour metallic orange base, I grabbed a nail art brush and painted in the black background leaving the pumpkin shape in the middle. I then added the faces and voila. This took me all of about 10 minutes to do and I just loved the result. 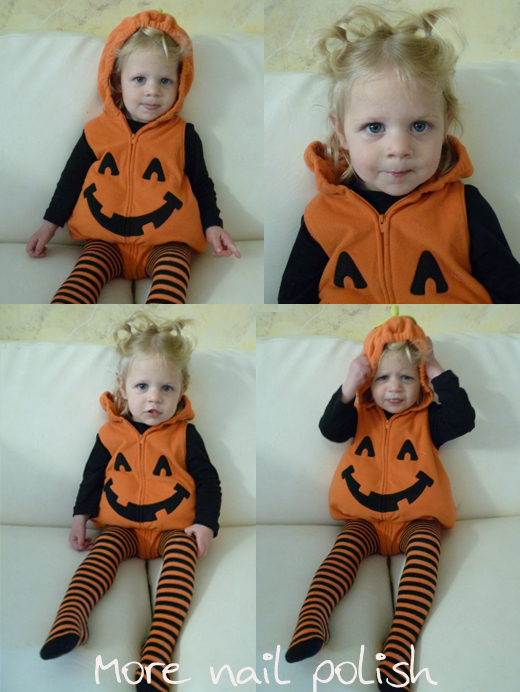 And for today's dose of uber cuteness, here is my baby pumpkin. We don't do trick or treating here, but I will take any excuse to dress her up. 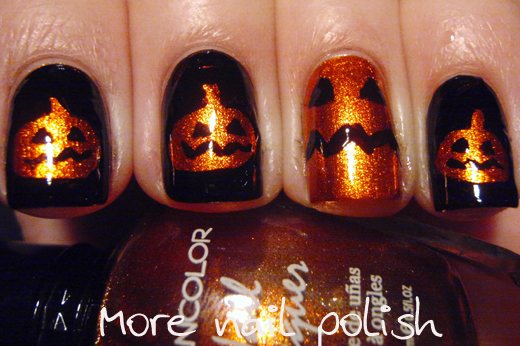 Jack-o-lantern nails means matching daughter! I've already done my Zombie nails, and I'm really looking forward to showing you them on Monday. cute! that orange is really something, and I'm not much for orange. love the nails! you're little girl is so cute! SOOO cute!! My little man is going as a lion LOL. 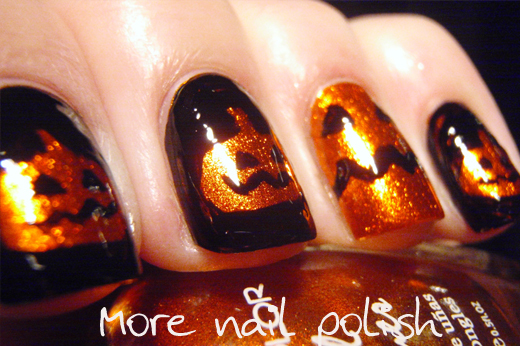 Love the nails too. OMG!!!! You're daughter is SO freaking cute!!! You are right about that orange, perfect Halloween color. Great job!